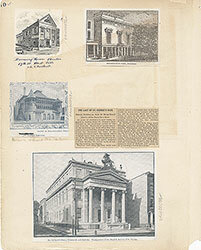 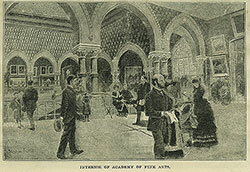 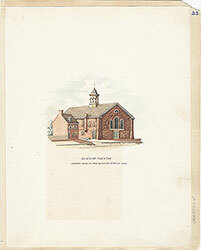 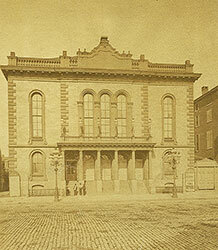 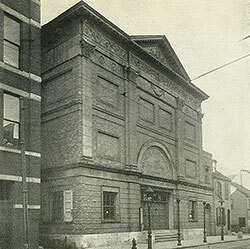 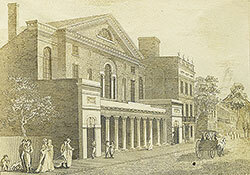 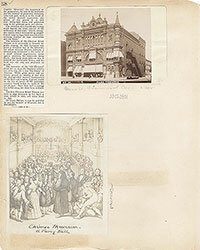 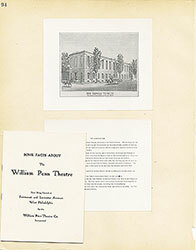 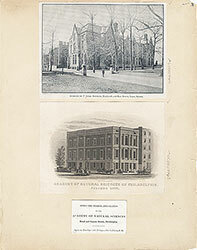 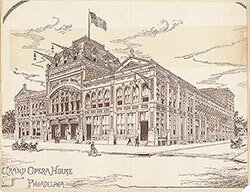 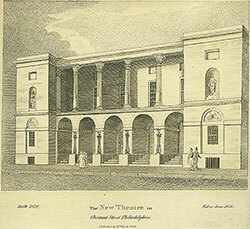 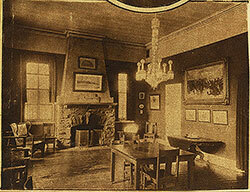 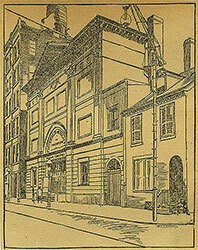 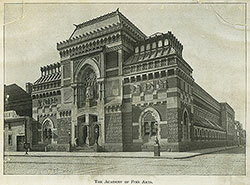 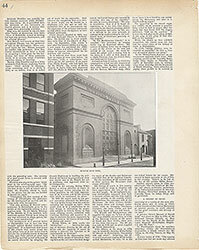 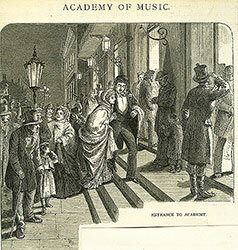 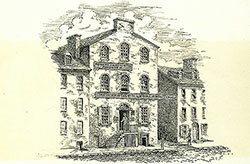 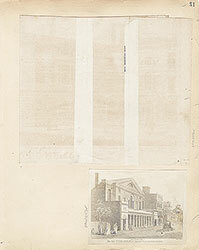 Reproduction of a photograph of the Academy of Music on South Broad Street. 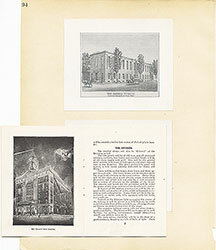 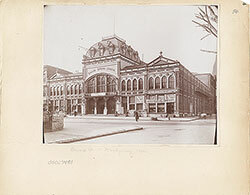 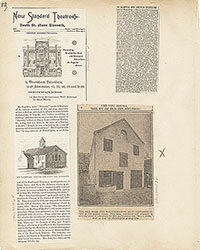 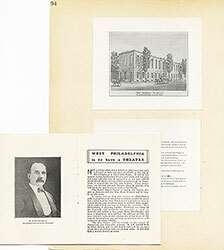 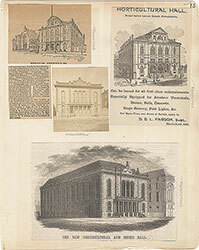 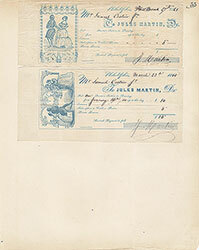 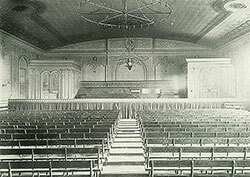 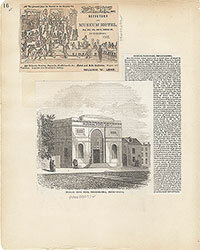 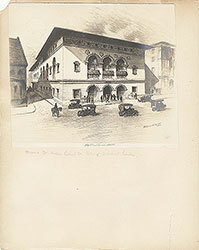 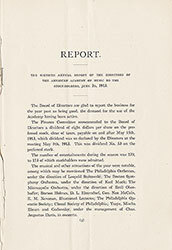 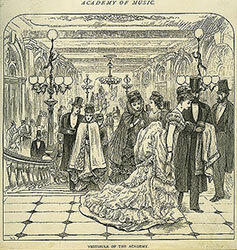 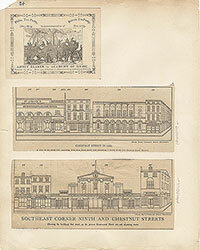 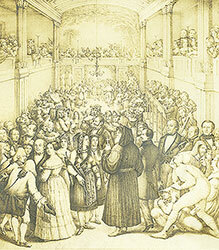 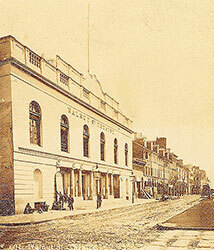 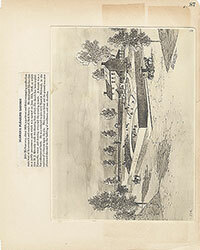 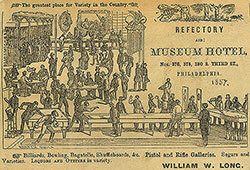 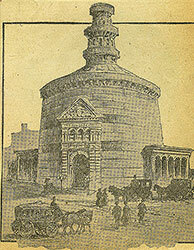 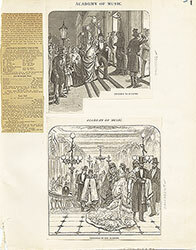 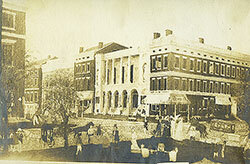 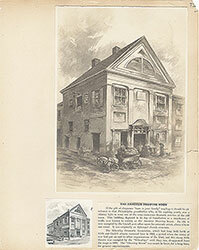 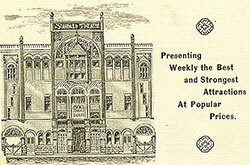 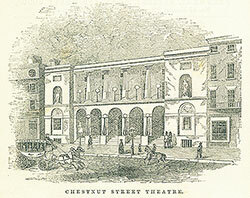 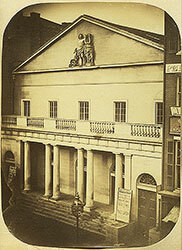 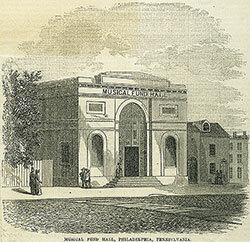 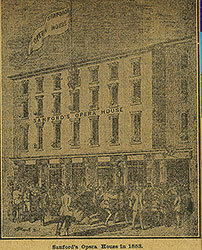 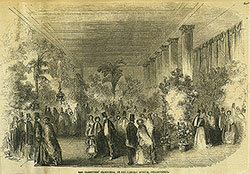 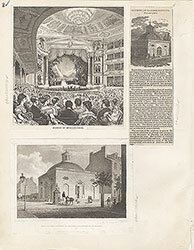 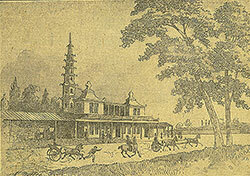 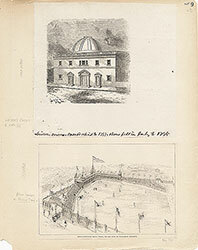 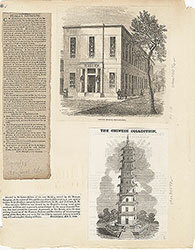 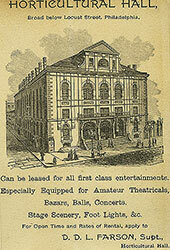 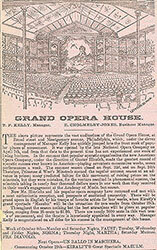 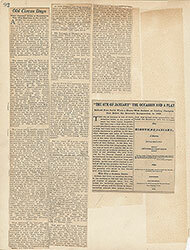 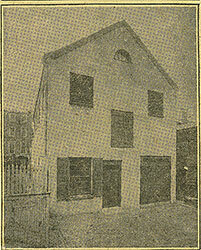 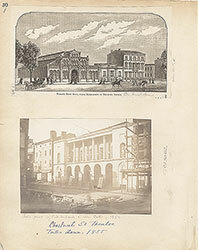 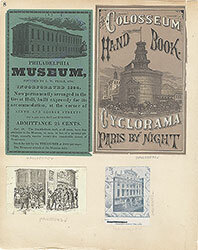 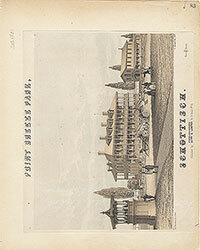 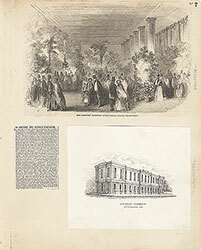 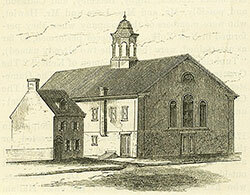 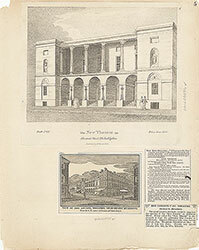 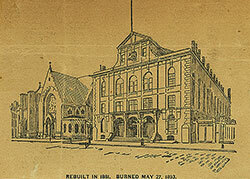 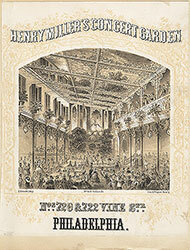 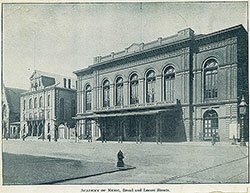 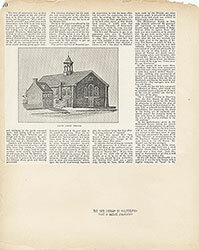 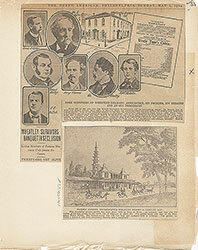 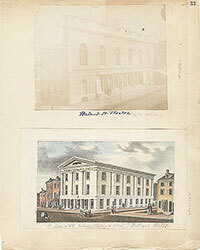 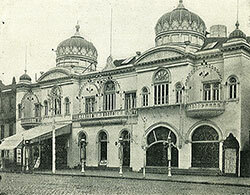 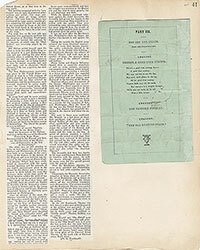 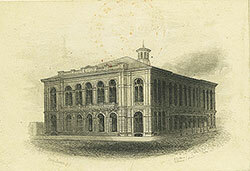 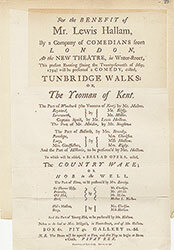 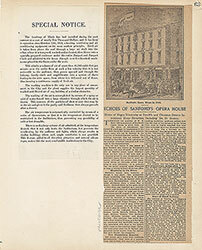 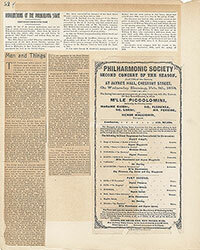 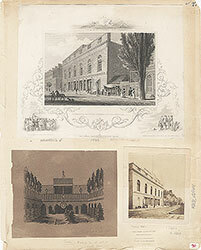 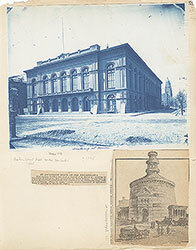 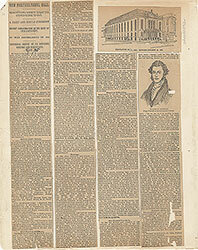 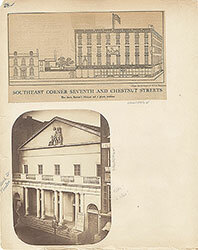 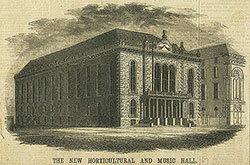 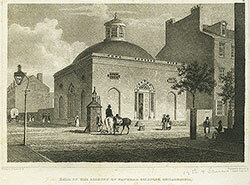 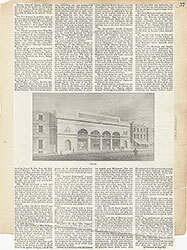 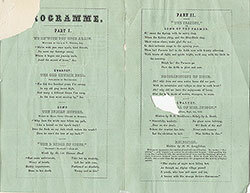 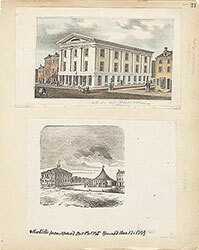 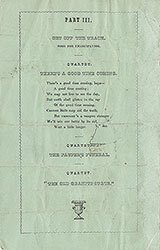 The concert hall was opened on January 26, 1857. 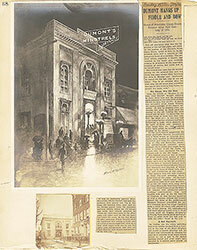 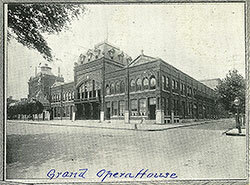 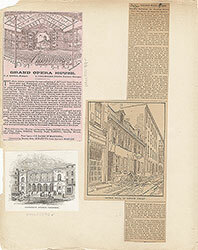 It is the oldest grand opera house in the United States still used for its original purpose. 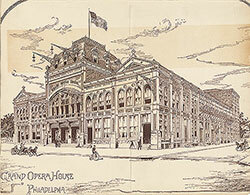 Home to the Philadelphia Orchestra from 1900 to 2001, the Academy remains one of the busiest halls in the world and hosts a myriad of community functions and cultural activities, including performances by the Opera Company of Philadelphia, the Pennsylvania Ballet and Philly Pops with Peter Nero. 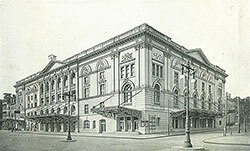 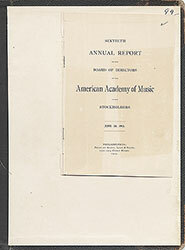 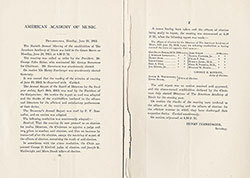 The Academy is owned by the Philadelphia Orchestra Association and managed by the Kimmel Center for the Peforming Arts. 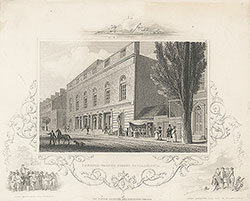 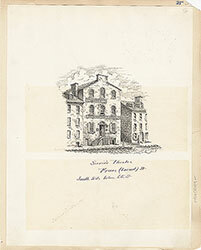 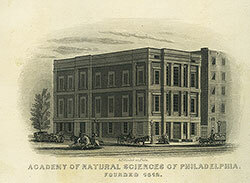 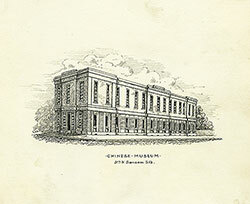 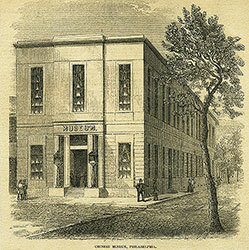 This engraving shows the Academy of Music shortly after its completion in 1857. 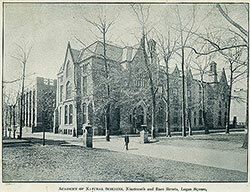 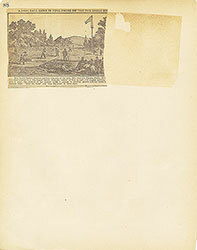 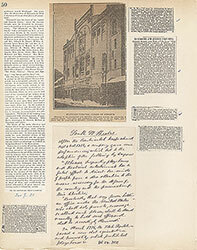 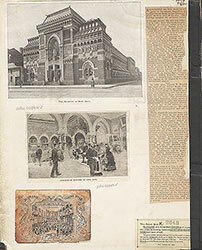 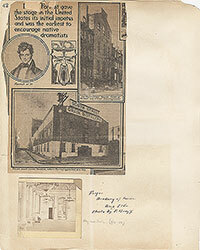 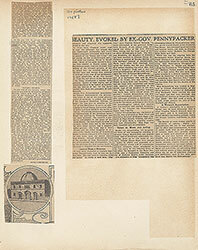 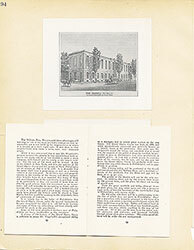 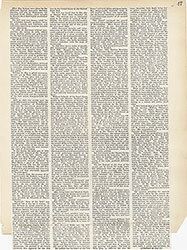 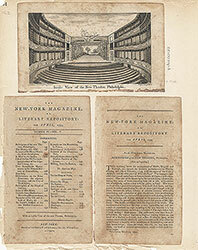 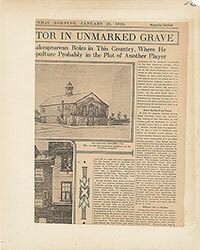 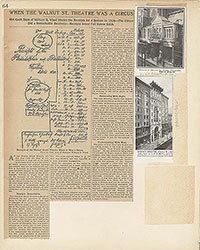 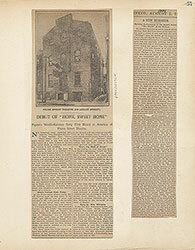 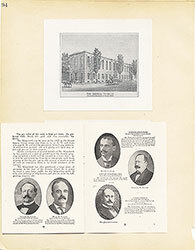 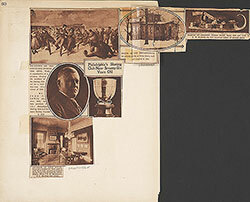 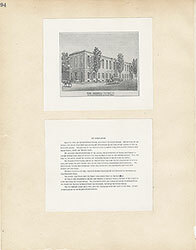 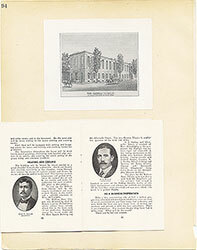 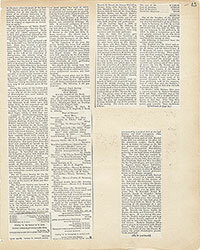 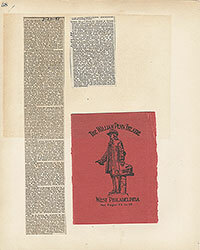 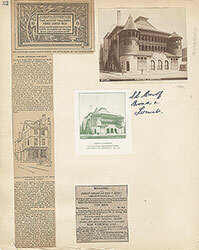 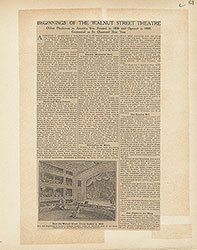 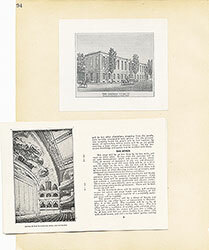 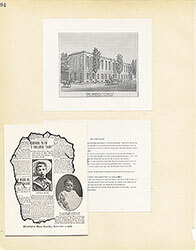 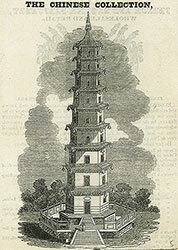 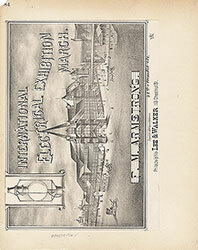 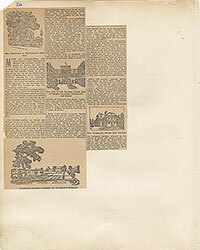 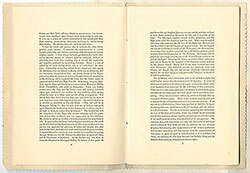 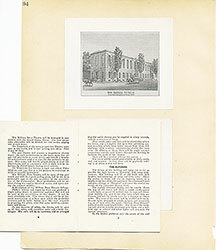 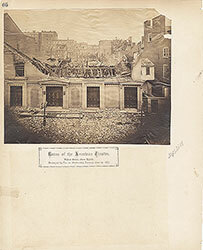 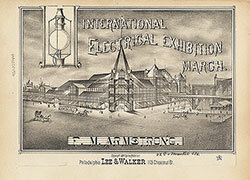 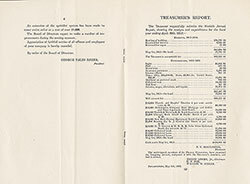 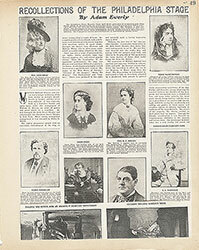 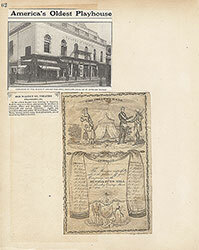 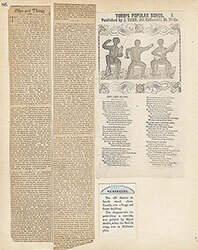 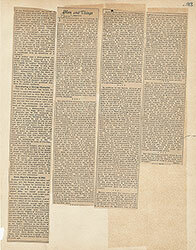 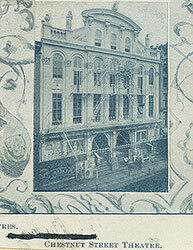 Inscribed on the lower right corner of the print are the names of the building's architects : N. Le Brun and G. Runge. 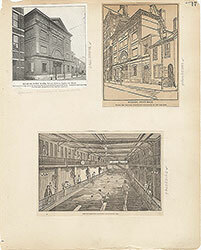 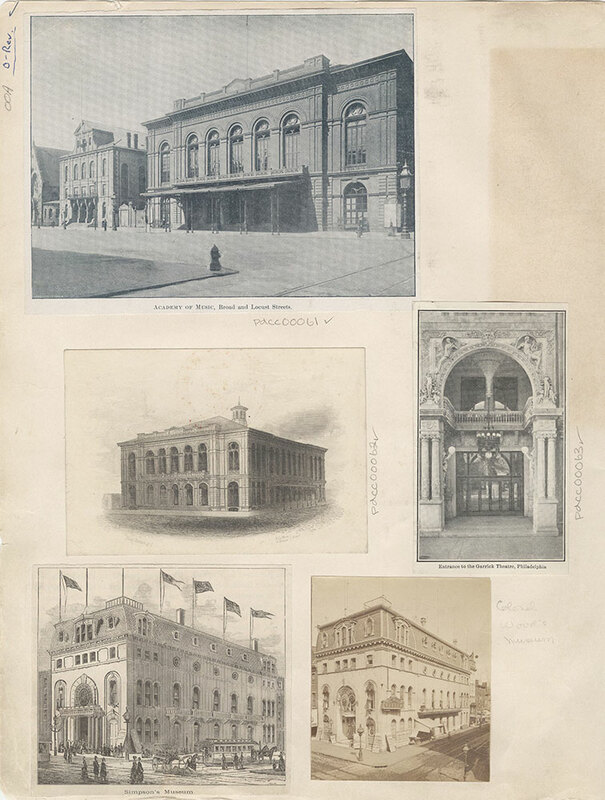 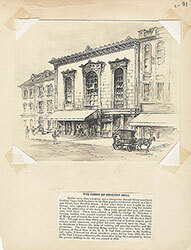 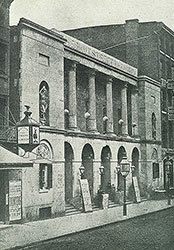 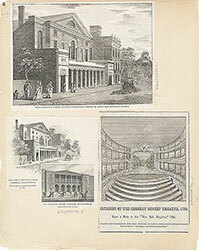 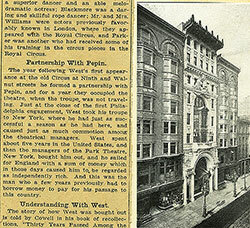 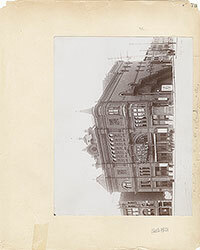 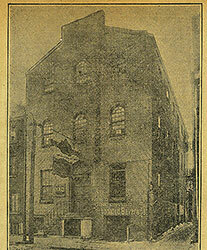 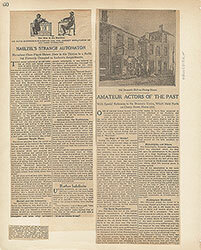 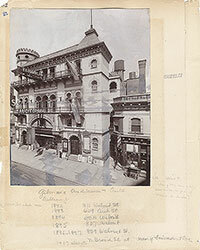 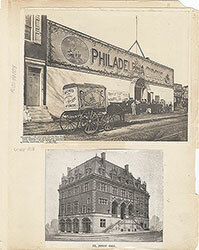 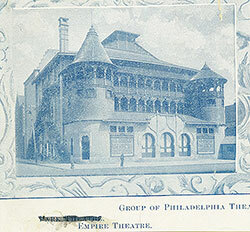 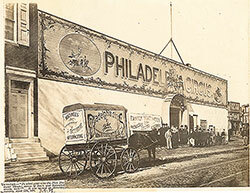 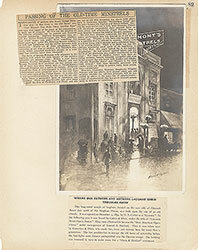 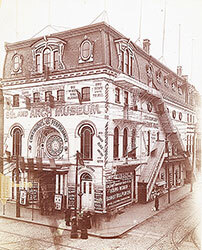 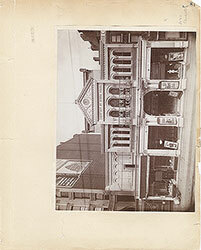 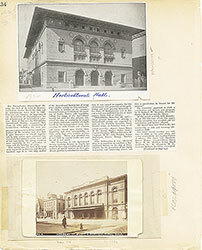 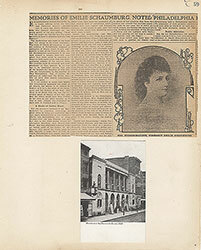 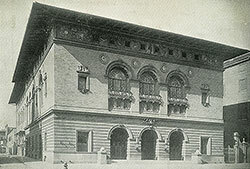 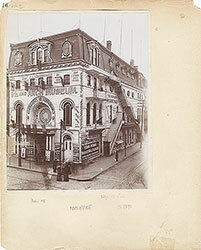 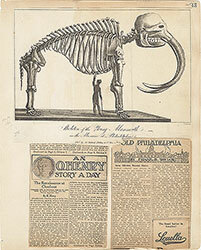 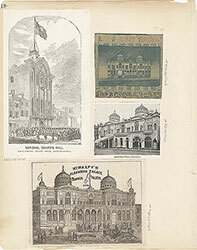 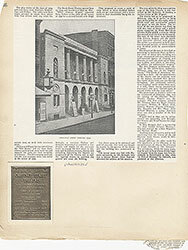 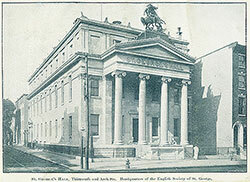 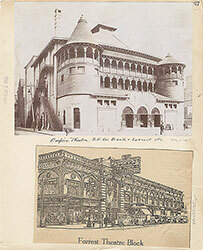 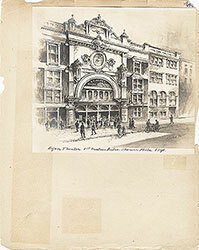 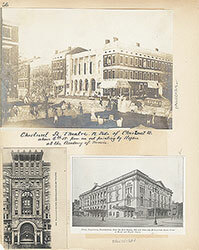 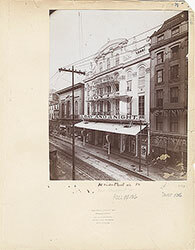 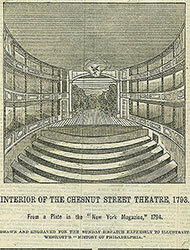 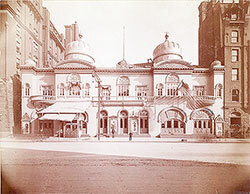 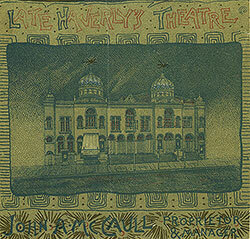 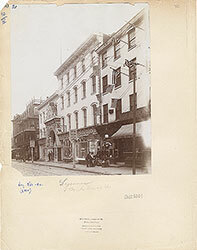 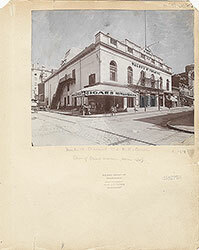 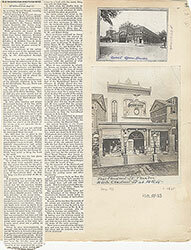 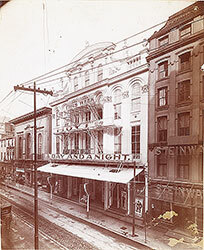 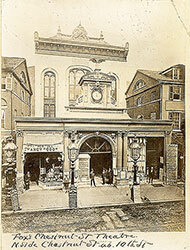 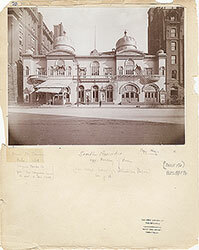 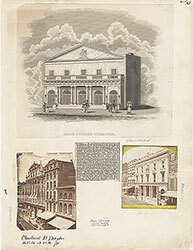 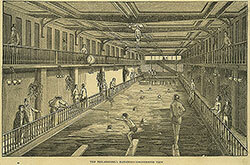 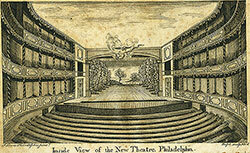 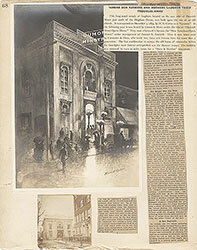 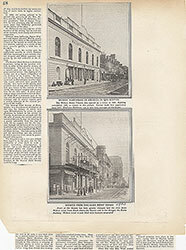 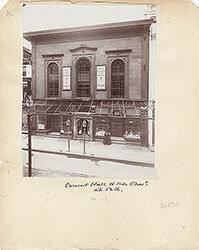 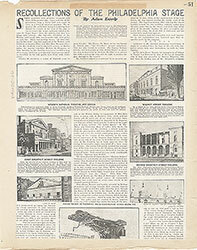 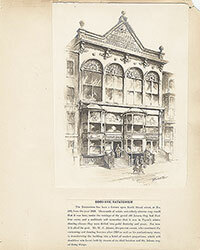 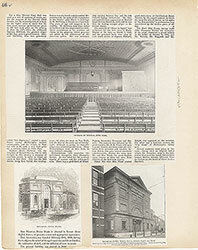 The Garrick Theatre was built in 1901, and stood at 1330 Chestnut Street, Philadelphia, Pa.